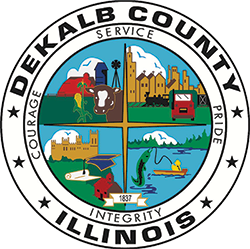 The DeKalb County Treasurer’s Office will be mailing out 2018 Property Tax Bills soon. To ensure your bill arrives in a timely manner, it is important that the county has your correct mailing address. For questions about changing your address, contact the Chief County Assessments Office directly at 815-895-7120. For all other property tax-related questions, contact the Treasurer’s Property Tax Helpline at 815-895-7337.